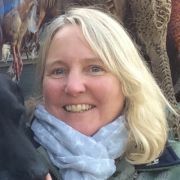 All round country lady loves being involved in shooting, hunting & the great outdoors! Would like to meet someone with similar interests! Must be comfortable with animals and wear green wellies!!! Dog lover preferably? Happy to explore the Highlands & Islands in all weather !! Gamebird1965 hasn't asked any friends to write a recommendation yet.